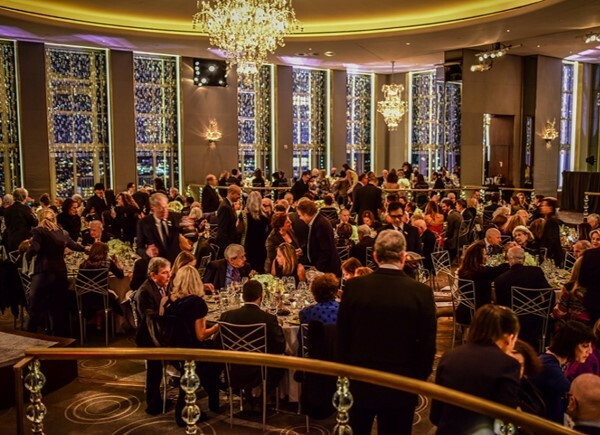 Join us for the 34th Annual Academy of the Arts Awards Dinner celebrating a lifetime of achievement in visual, performing and literary arts as well as philanthropy and leadership. This year's honorees are Carter Burwell for Performing Arts, Alice Aycock for Visual Arts, Bob Colacello for Literary Arts, and Patti Askwith Kenner will receive the Special Award for Leadership and Philanthropy. Includes a premium placement full page color ad in the journal. Includes a preferred placement full page color ad in the journal. Includes a full page color ad in the journal. Sponsor a table for artists to attend. Includes a full page color ad in the journal. Includes a half page color ad in the journal. Includes a quarter page color ad in the journal. A table seats ten. Seating based on ticket price. Young Patron options are for individuals 21-40 years old. For additional information contact the Special Events department 631-324-0806. Publication size is 10 X 10"
Full Page 9.5 X 9.5"
Quarter Page 4.75 X 4.75"